North Seattleites — who have long enjoyed the convenience of a small corner store which also provides over 30 craft beer taps, reasonably priced growler fills to-go, and a wide selection of nearly 1,000 craft beer bottles (with an emphasis on local beer) — will now be sharing the wealth with Capitol Hill and the Central District. Last week, Chuck Shin, owner of the above described Chuck’s Hop Shop — aka, Chuck’s 85th Street Market, signed a 10-year lease to open another venture at 20th and Union, across the street from Katy’s Corner Café and replacing the empty Copymaster building at the corner. While the new construction will not begin until April of this year, Shin anticipates a quick buildout and hopes to open Chuck’s Hop Shop CD to the neighborhood by May 2013. Boasting the slogan “the best bar that isn’t really a bar,” Shin anticipates success for the new location of his winning concept, which has garnered popularity and success in the Crown Hill/Greenwood neighborhood over the last three years. When starting out with Chuck’s on 85th, Shin had a fairly modest goal in mind: Build a place where he and his family would want to hang out. “I have a three-year-old, a seven-year-old and a dog. When we try to go somewhere, my options are really non-existent! Usually we come here (to the shop) on my day off so that the kids can have ice cream and they’re happy to leave us alone for a half an hour so that we can sit down, have a beer and talk. It’s been a very nice oasis for us, too.” With his own needs and desires in mind for a family-friendly beer bar, Chuck’s Hop Shop turned out to be just what the neighborhood wanted. CHS sat down with Shin at his current Greenwood store and chatted with him about his plans for the upcoming space. 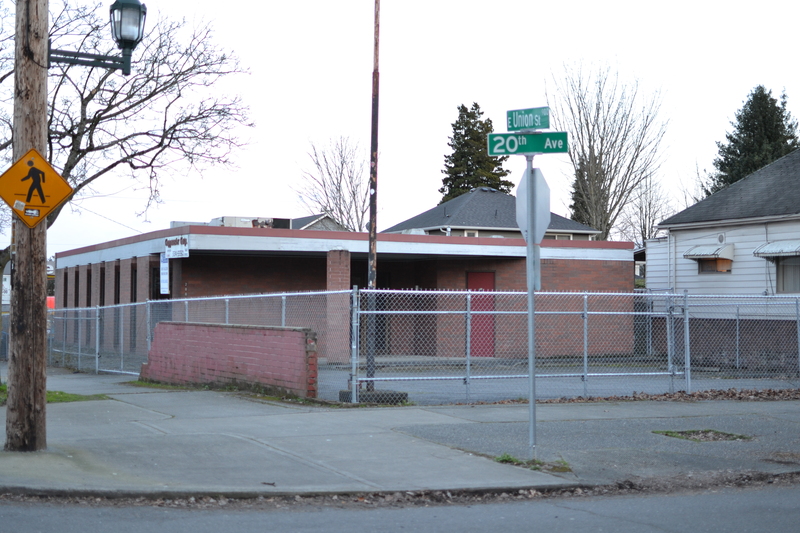 “A lot of people in Ballard can’t afford the house they want, so they’re moving out this way. Same goes for Capitol Hill – people who have a family and can’t afford the house they want there move to the CD. I definitely see that migration,” said Shin. Like the positioning of the 85th Street store, Shin expects to pull from several surrounding residential neighborhoods. “We’re hoping that we can attract people from Beacon Hill, Madrona, Capitol Hill, etc,” he said. In the new space, Chuck’s will actually have a larger parking lot compared to the tiny, three-space parking lot in front of his 85th Street store. “We have eight parking spots, and we’ll have space for rotating food trucks every day. We’re also hoping to build a bit of an outdoor seating area,” Shin said. As for its offerings, Shin has a similar plan for the store on E Union. “We’ll have ice cream for kids and we’re planning fifty taps.”. This is a marked difference from Chuck’s on 85th as the tap count grew fairly organically – starting with three and growing to a now impressive 38 taps. 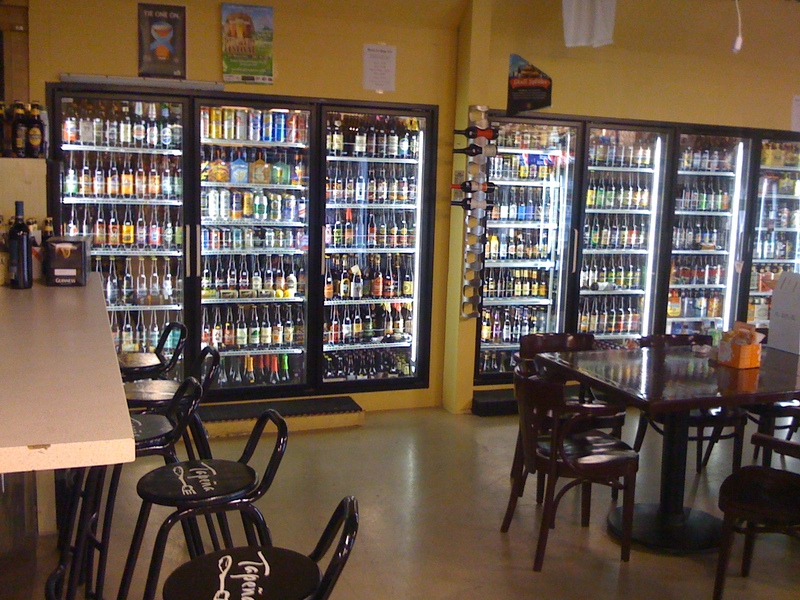 And not to worry; the selection of bottled craft beers in the new space will be just as large, if not larger. The new location is a 3,100-square-foot stand-alone space, about 700-square feet larger than the Greenwood location. “We’re hoping to use that extra space to provide more seating areas for people. Here we have only one bathroom; there we’ll have three bathrooms,” Shin said. 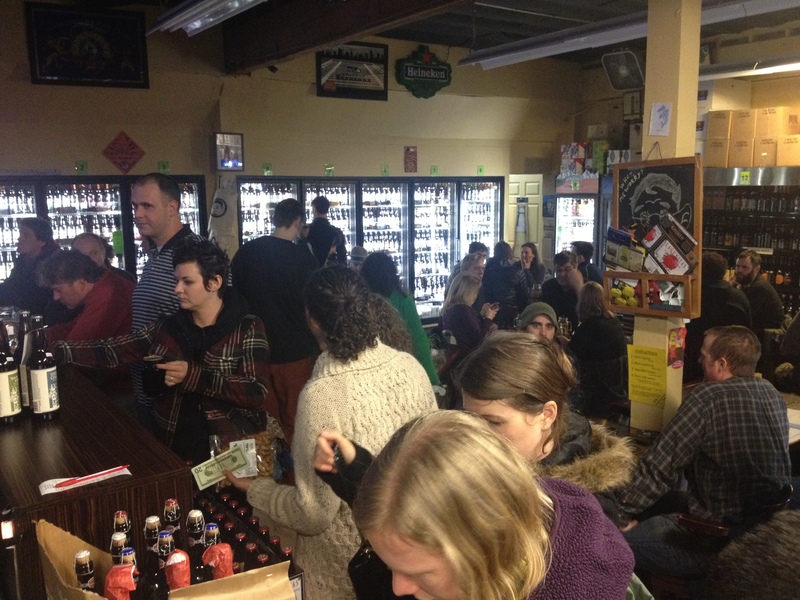 Chuck’s will also continue to provide a similar schedule of events at the new shop: Tastings, trivia nights, and, hopefully, a weekly Euchre night (a big hit with the Midwestern Seattelites up at the 85th Street shop). Shin also plans on hooking up with some local Capitol Hill and Central District nonprofits to hold regular fundraising events which he’s had success with in Greenwood. “We’re basically trying to copy whatever we’ve been doing here and see if it works similarly in the new location. We’re hoping to see a lot of kids come up,” says Shin. The plan continues to be an unassuming, laid-back locale that is in no way focused on décor or pretentiousness, but rather on quality beer and a quality hang-out for families and neighbors. “We’re going for homey and comfortable,” he said. As for grub, Shin is hoping to host two food trucks a day – a lunch truck and a dinner truck – on a regular rotation. Hours will likely be daily 10 AM to midnight, with slightly shorter hours on Sunday from 11 AM to 11 PM. “We take possession of the space April 1, we hope to open by the end of May,” says Shin. He plans to start off slowly with a quiet, soft opening at first and then six months later, a larger, grand opening for the neighborhood. “We need to figure out the customer base before we do anything too crazy,” he said. 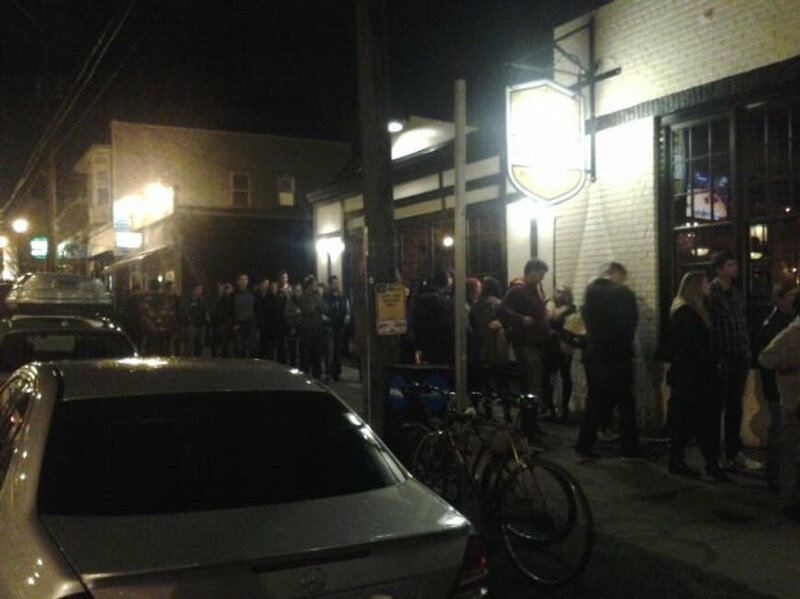 Breaking news in Capitol Hill food and drink late Monday: E Olive Way club The Social’s quest for restoration of its temporary liquor license has been denied. Starting now, the club can’t serve booze. A hearing to appeal the liquor board’s original decision could take up to 45 days to schedule. Neighbors who live near the club and complained of noise and obnoxious crowds might get more than they bargained for, however. They still live above a fully built out nightclub and the state was clear in its dealings with the court Monday that its major issues with The Social’s application were about the club’s finances — not its issues with neighboring apartments, condos and businesses. We assume there will be more to this story before it’s all said and done. Meanwhile, the setback is a major blow to Laura Olson’s food and drink umbrella company, Pterodactyl Group behind ventures like Po Dog, Auto Battery and Grim’s. Olson says the club employs more than 40 people. The infamous Thomas Street Bistro is dead and gone and will be replaced by a couple’s first-time attempt to build a restaurant together. Quebecois-styled Resto is slated to open this spring. Seattle Weekly’s Voracious Tasting is Thursday, April 4, and features “an evening of unlimited bites and booze from Seattle’s premiere restaurants, food trucks, specialty food artisans and mixologists inside the historic Paramount Theatre.” We have two tickets to give away. Just be the tenth caller… oh, wait. Just leave a comment telling us your favorite Capitol Hill menu item before midnight and we’ll automagically select a winner. This is a typical line outside Von Trapp’s. The usually wise folks at Skillet are thinking about adding a note about a surcharge for worker healthcare to their menus which brings to mind a long list of “surcharges” we’d also like to see itemized on the menu. New menu at Plum Cafe — formerly Hillside Quickie — includes fruit smoothies, juices. Capitol Hill — land of juice! We updated you on coming-soon 24-hour Capitol Hill “dive” diner Lost Lake last week. Now they’ve posted pictures of deep fried cheese curds. Hype! Seattle Met does a First Hill bar crawl. Seattle Magazine gets cozy listing Poquitos on its roster of Seattle’s “cozy” patio dining. Just in time for Seattle spring. People miss Ernie Steele’s like no other. Somebody should recreate. After losing Pastry Chef Joanna Chau to Nomad in New York City (go get’em kid!) we are very excited to announce the newest edition to the Rumba + Tango Team: Pastry Chef Mari Loofburrow! Mari has worked all over Seattle—both on land and at sea—since graduating from the specialty desserts and breads program at Seattle Central Community College in 2004. 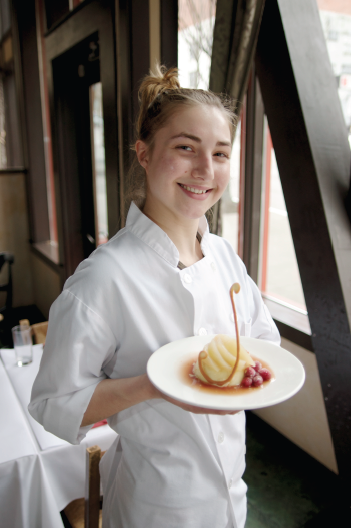 Following a brief stint as pastry chef on a cruise ship Mari has worked at: Opal on Queen Anne, the Tom Douglas’ pastry kitchen, and has, most recently, been pastry chef at Crush and Palisade. Broadcast Coffee is offering beans from Handsome Coffee Roasters this month. The fancypants Lark Cookbook app, etc. is now available at larkcookbook.com. This entry was posted in Community, News, etc. by Dikla Tuchman. Bookmark the permalink. That’s a tie between the gnocchi at Altura and Tango’s El Diablo dessert. Really excited that they’ll be opening up down the street! I was so sad when Pike Street Beer & Wine closed down, so will be thrilled to have a fantastic bottle shop nearby (plus growler fills). Just the kind of cool and family-friendly spot the neighborhood needs. Super exciting news about Chuck’s but wondering why this is posted as Capitol Hill news and not posted at all on CD News when this is most definitely in the CD. Once again Capitol Hill gets all the “good news” credit about CD related happenings. Front page news on CD News is about an arson…..
I’m sure Tom will be getting to it soon, Else. Resources! People! The media! Pesto pizza at Hot Mama’s. Great at lunch dinner, AMAZING at 2 AM. I second this! Come on, at least cross post to CDNews when it first goes up. If this place around the corner from my house is in Cap Hill then I need to refinance. It’s coming, it’s coming. CDNews is having, um, technical difficulties this morning. As our pioneer in the Wordrpess move, we still have some kinks to iron out. Tom is restocking the publishing monkey chow now to get the little bugger to work. Damn publishing monkey! It’s not on “the Hill”. That’s fair. Updated to read “on E Union” — I already scrubbed most of the Hill/CD overlap elements. Let me know if you see more. It’s a challenge covering the two areas. Please consider that we’re doing what we can to manage a daily site covering the Central District *before* there is a business case there to support it. CHS assigned, paid for and edited this post. That’s the reality of it. It’s going to take time to make things work differently — and, I’ll add, we’ve been working at Central District News for more than five years now. Tom from CDNews here. I did something while doing a server update last night that broke our ability to upload images. I’ve been working on that this morning, which is why the post was late on CDNews. I’m a journalist, not a web server manager, so these things are bound to happen. Thank you, Tom and Justin (and Dikla) for getting it written and cross-posted. I think as a CD resident it would just be nice to see positive, business-centered news happening in our neighborhood posted on our site first, and then cross-posted to CHS. We’re happy for the coverage and grateful for all your work, but it seems we’re often an afterthought and it’s frustrating. That’s all I’ll say about it. Tom, thanks for fixing the glitch in the system. And if I ever open a small business anywhere near Central Seattle, you’d better bet I’ll be a CDNews advertiser! As a long time resident of the “cusp” of CD/Capitol Hill, I honestly just want people to be happy when cool new things happen in our collective neighborhood. I’m sorry if this created contraversy — good news is just good news. And we can all rejoice together and not worry too much about where it “showed up” first, just that it’s happening. Yay! The tajarin with butter and sage from Spinasse. So good! Liz, it was supposed to publish on CDN last night. There is a lot of sensitivity on the matter of CHS vs. CDN when in reality we are cooking in the same pot. We’ve talked about possibility of combining sites but we know there are regions both geographic and cultural that would be lost in that kind of combination. I’ll ask you CD fans to try and support continued independence and help out, if you’re interested and can. Tom works hard to keep CDN relevant and useful. Scott did the same for years before. No matter what, we’ll continue to cover the CD. Well thanks Skillet for helping to make choices on where to spend my money in this over-crowded restaurant scene. More data is always welcome! Keep us posted on all the flags that you are willing to fly. C’mon, has to be Rancho Bravo … when you’re starving in the late hours of the evening (like many of us Hillers are) there aren’t a whole lot of real quality options. This place may be the best Mexican around the Seattle area. Justin, I’m glad the intent to break it in the neighborhood first was there. As you know I used to write for CDNews and loved it. I’m back in school now and thus don’t have time dedicate to it, but I really wish I did. I’ll reach out again in two years. In the meantime, keep the stories coming. The more positive press the CD gets, the more businesses open up, more ads get placed, more readers to support the ads, and everyone wins. Thanks Justin. Didn’t mean to be nit-picky about it, but as you say, there’s a lot of sensitivity on this subject due to reasons you & others have already mentioned. It’s also worth noting– there are a good number of totally CapHill-centric people who rarely escape the confines of “The Hill” and seem to think the entire Central District is a huge, scary hole of crime and murders. This sounds all so silly, but I assure you it’s really true. Besides just not getting us overly-sensitive Centralites riled up, getting the geo-references right helps show Hill dwellers it’s OK to venture out of their microcosm, and they need not fear the big-bad CD. My favorite is the Dessert Thali at Poppy. Jim — I could not agree more! Soft pretzel with rarebit sauce at Dinette. 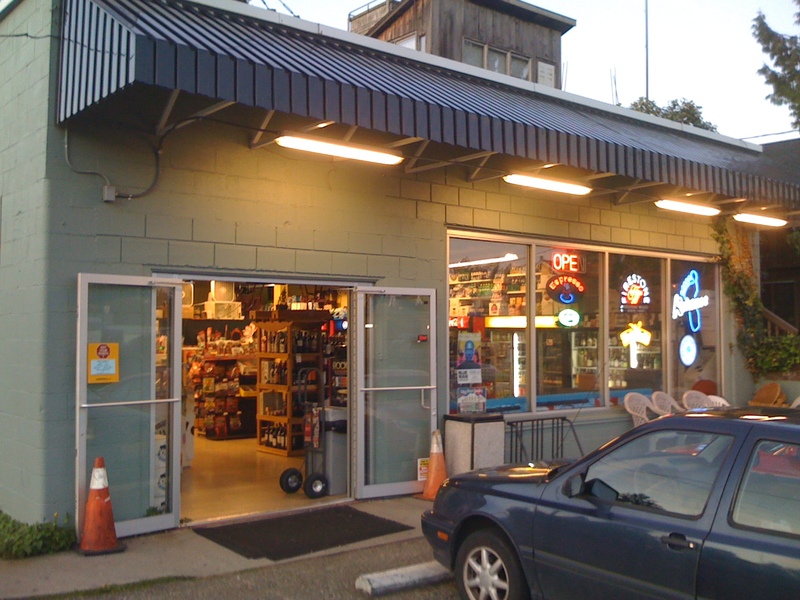 Since there is basically NO proper beer store on the Hill post-Pike Street, the opening of a great one–what, 6-7 blocks away from the “border”?–IS Capitol Hill news. And great news at that! If we awarded tickets on merit of making jseattle hungry, you would win. Alas, random! But thanks for entering! Is this because of the affordable care act? I find it cruel to ask me to choose one. But I guess I’ll have to go with the chilaquiles at Barrio. There may be better tasting items out there, but for some reason I crave those like nothing else. Pozole. Gotta include the Pozole. But let’s forget about those cowpie burritos, mkay? So Taco Bell-ish. I almost never see any Mexicans eating those. Hmm, I wonder why? Holy cats, that’s a tricky question. My favorite Capitol Hill menu item is definitely the adobada tacos at Tacos Chukis. The grilled pineapple absolutely sends the whole thing over the top and it’s definitely of my favorite eats in all of Seattle. Oddfellow’s Bullseye Biscuit. Must be fresh out of the oven! But I do love me some Ba Bar pho tai nam. Hands down, the sardine sandwich at Cafe Presse is my go to meal when I am craving… well anything. It is a lovely mix of crunch from the baguette, freshness thanks to the bib lettuce, and savory/Smokey/salty goodness wrapped up in the grilled sardine! My mouth is watering now! An inexpensive meal that taste like a million bucks! Especially with a classic cocktail or cheap glass of wine. A baby burrito from Tacos Chukis is the best! Anything at Skillet! But recently their Coffee Rubbed Pork Belly. DANG. I don’t like saying anything bad about Chuck’s, but I do dispute the statement that they offer “reasonably priced” growler fills. I have found their growler fill pricing to be out of line with convention. It seems to me that they multiply the price of a pint by four then knock off a couple bucks. That said, I love that Chuck’s offers 1/2 pints at the same price per ounce as a full pint. This of course facilitates trying a wider variety. Psyched to hear of the new location. Maybe it will alleviate the overcrowding at the Greenwood store? Maybe a little? This is great news. The area really needed a gathering place like this. Via tribunali’s pizza or 8oz burger! The Volunteer Park Cafe BLT is perfection. It’s hard to choose between the spam sliders and kalbi tacos at Marination, so I usually get a few of each. Excellent choice! I bet half the people who walk by don’t even know Taco Chukis is there…they are missing out big-time. Earl Grey Ice Cream Sandwich @ Dinette! If weather is colder than 50 degrees, Mixed Soondubu at Kimchi Bistro. If weather is warmer than 50 degrees, Dol Sot Bibimbap at Kimchi Bistro. Plus, it’s been commented elsewhere that Chuck’s moving into the CD is going to “gentrify” the neighborhood. Well. I can attest to that. There was a full 3.7% increase in property values up here when he moved in. Totally messed up the economy of cheap rentals – and for this I hold him solely responsible! But seriously folks – your gain is our loss. Clearly he stuck it out in Greenwood, with many ‘zero to One’ customer days because he believed in the concept. And his sweat, and long hours of anxiety (and the love and support of his wife) clearly have paid off. So with reluctance we share him with you, and pray that this succeeds fantastically so he can hire enough staff to return his attentions to the pilot store up here in Greenwood! Oh, and did we mention Food Trucks? This guy is the king of the upscale roach coaches, so don’t say we didn’t warn ya! I thought Chucks was leaving the Greenwood shop open and just expanding to the CD? I hope they have planned for parking since that area is absolutely overrun as it is. With Central Cinema customers, street parking for the the residents and the mechanic that parks cars all over the neighborhood in various staes of repair finding parking in the area is extemely difficult. Is there an estimated date of when the new Chuck’s will open? +1 when will Chuck’s open?